Schisandra is a hardy shrub commonly found in East Asia, and primarily in China. The plant can grow in virtually in all soil. It is also known as "Wu Wei Zi", which means "five flavours" in Chinese. Indeed, its flavour is unique, including sweet, salty, sour, bitter, and spicy. Therefore if you are looking for sweet thing, then schisandra is not the right thing for you. The fruits of schisandra are berries, and often sun-dried for medicinal use. 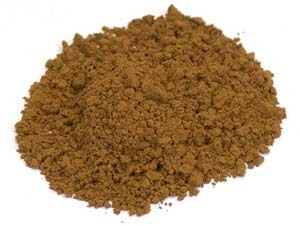 The dried berries can also be further processed to powder form, which is more easier for our consumption. Traditional Chinese medicine thinks schisandra can enhance liver and kidney functions. Therefore Chinese doctors often include schisandra (along with other herbs) in their prescriptions to treat some impotency problem. 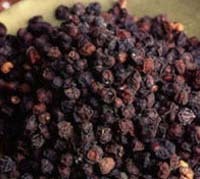 In addition, it is also found the schisandra has the sedative characters, that may explain why Chinese medicine also uses it for treating insomnia. It can arrest mucous discharges, and increase mental efficiency such as concentration, fine co-ordination, sensitivity and endurance.